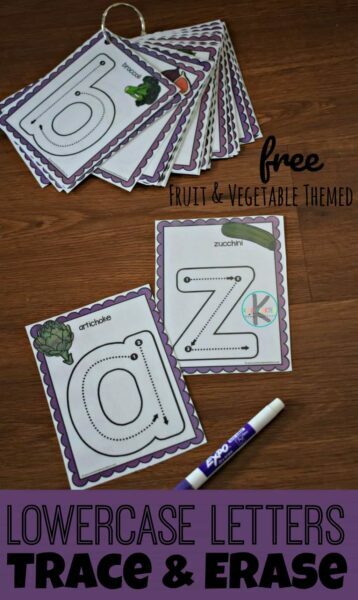 These super cute fruit and vegetable themed alphabet cards are a fun way for preschool and kindergarten age kids to practice lowercase letters. 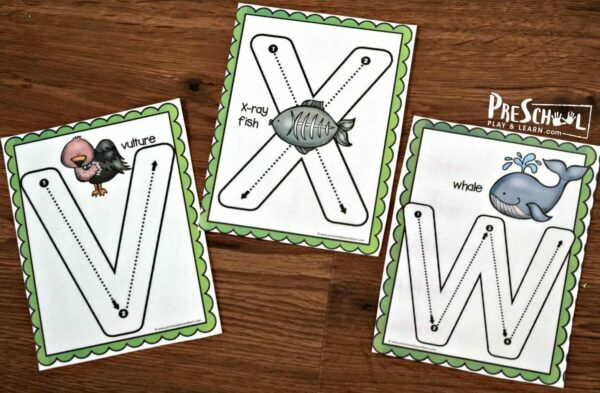 These LOW PREP lowercase letters trace & erase cards are a fun alphabet activity for young learners. 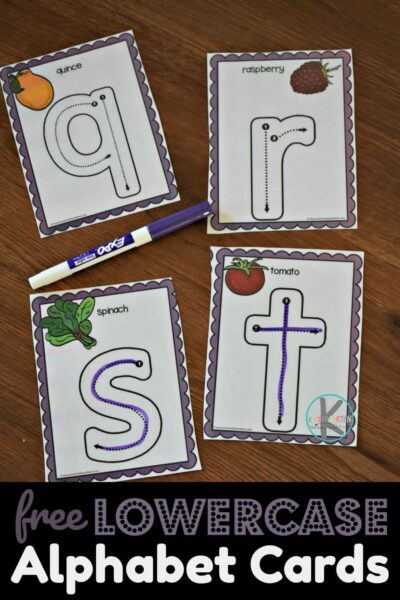 Print the alphabet pages in color and laminate to make them reusable. Then cut each page into four alphabet cards. 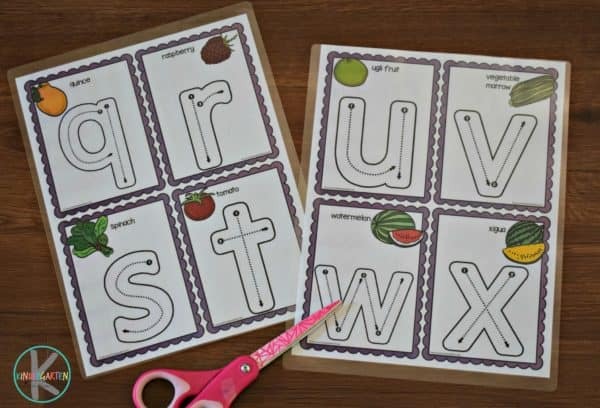 Each of these lowercase alphabet cards has a fruit or vegetable on the card that starts with the letter on the card. So besides being for young learners to trace letters, it is also a fun way to learn the names of more produce. 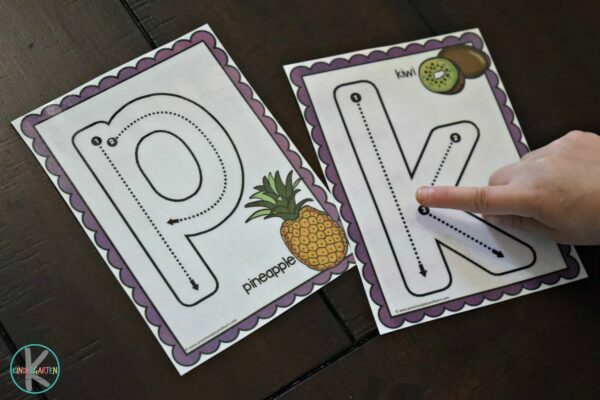 Kids can practice tracing letters with their fingers first. Each letter has clear instructions on how to form the lowercase letter correctly. Then have students trace the letters with a dry erase marker and wipe clean so practice again later. 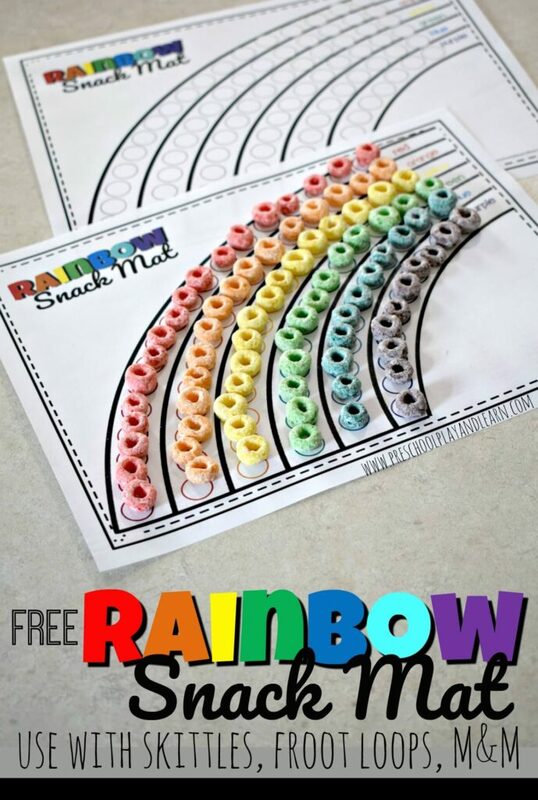 I just love reusable activities! 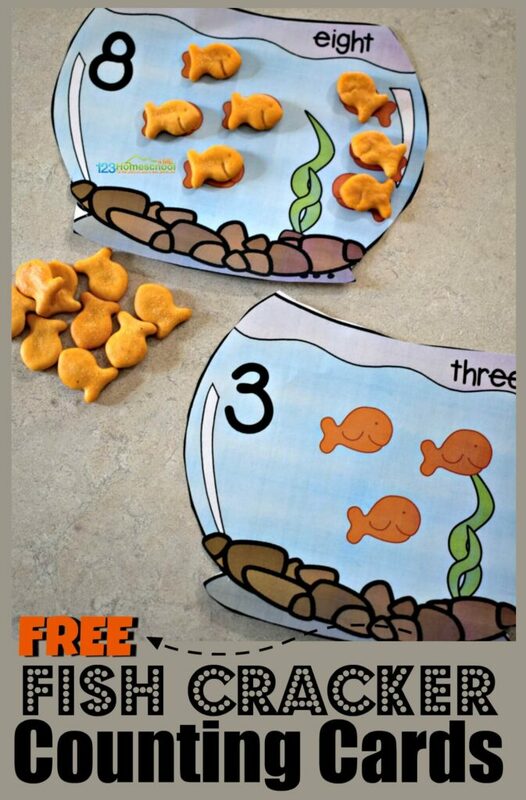 Another fun way to use these ABC cards is to use them as playdough mats. 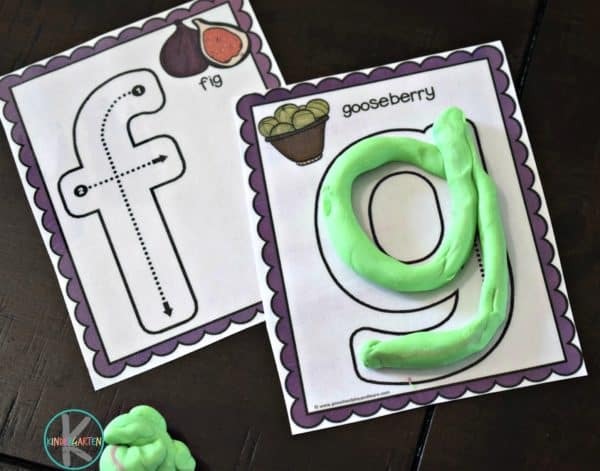 Kids can strengthen fine motor skills by rolling out playdough into a long rope and then shaping it as the lower case letters. You can grab the coordinating Free UPPERCASE Trace & Erase alphabet cards from our sister site Preschool Play and Learn. 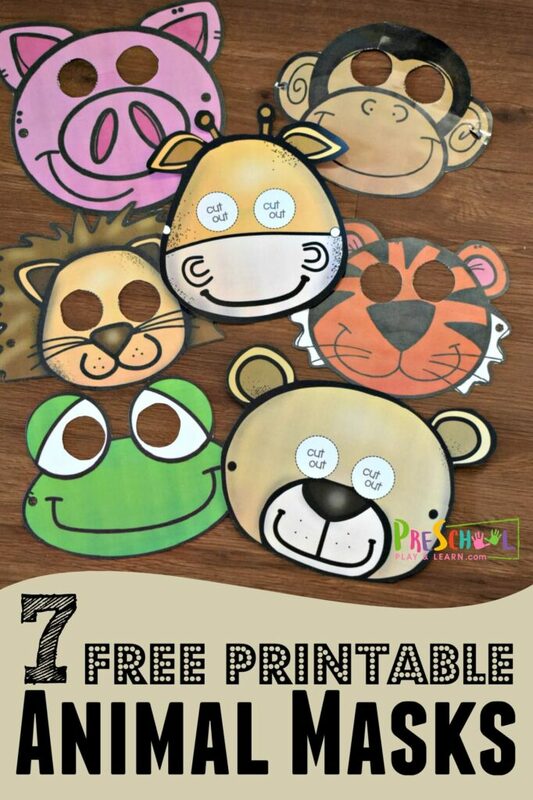 Thank you for making this printable it is exactly what I need for my kids. However, I am confused how to download. Am I missing the link? Thank you. It’s in the box showing the freebie. I just sent it to you using the email address you commented as. Enjoy!